New all time record for me. I have really gotten interested in Colloidal Silver thanks to Beinki.........I have not seen him on here for some time, but I would like to set up a forum on this subject if there are others interested. If we could get Beinki in on this or any one who has experience with it to Q&A, it would be an interesting topic. I've got fiat ready to burn, so here we go. No waiting to see what happens tomorrow, just dive in head first. I think we will see some more raids. We will view those raids as our opportunities. they should be brief and IMO brief could be measured in hours or even minutes. When metals were in their uptrend 18-24 months ago there were raids. On almost every occasion I bought equity options as a short term trade and most were rather profitable--the losers were a ding. When the sentiment or whatever you want to call it turned south, I went small on options and lost small (but losing is never fun especially when your core position is losing too). So I think the current market dictates my strategy from 18-24 months ago-fundamentals could not be better. in the 2 years nothing has been fixed and indeed worsened. The Fed message is things are for the birds. The Obama message is give me time (aka I want to kick the can down the road some more and by the time I am out of office Obamacare will be as ingrained in society as medicare and social security regardless of the little detail of that all are unaffordable). I keep on looking for how the hell we get out of this mess and I cannot find a reasonable answer. Gold, silver, food, friends, guns, ammo and some sort of escape plan. Hi. I'm new here. Could someone explain to me how the net short ratio is calculated? I am confused as to how this ratio could be anything except for 1. Quadruple Witching Day this coming Friday, most assuredly adding to the volatility. I received an email a few years back from the person who turned me on to PM's 4 years ago on how to make colloidal silver at home but I've never made the effort to do it. HOWEVER, about 7 years ago my mother gave me her sterling silverware and I decided to use it as my everyday utensils. I swear I haven't been sick in 7 years - not even a minor cold! So I'm a believer - just a lazy believer. "(gross shorts divided by gross longs)"
“How market will react for rest of the day depends upon today release 6:00 PM data: list of data going to release this evening including Consumer Price Index, Retail Sales, Industrial Production; the last one may impact base metal prices.” said Amrita Mashar, Manger Research, Commodity Online. In the previous thread, somebody pointed out that the Year of the Snake coins are out. The 10 ounce version is still selling for 304€ (including VAT) which would even be an ok price for a regular non-collector 10 ounce coin. I'm seeing lease rates hitting the lows seen before other smackdowns...any thoughts on this? I think we at -.43 for the one month. The Most Humungous Bubble of Them All! The U$ dollar. The almighty buck. The globes de facto reserve currency. This particular bubble has been building for generations. Now it is just too huge to last much longer. The terminal moment of end point expansion is upon us. Consider that since Nixon 'closed' the gold window in 1971, the US dollar has 'lost' 83% of it's purchasing power, and since the inception of the Federal Reserve in 1913, the US dollar has 'lost' 98% of it's purchasing power. The purchasing power of the dollar did not get "lost", it was inflated away by those in charge of it's supply. Lets just say you MUST be ready before hand. It won't be pretty, however will be VERY messy. Prepare now. Do not wait any longer. Time is growing VERY short indeed! Good luck. Provident will ship these on September 20th. Just in time for HEH celebrations! You get hat tips just for posting those beautiful pics of metals. What a stash of gold! I went long on AGQ this week. Gunning for a nice profit if the HEH summer invades the fall and winter. Wrote about the position in the last thread. In my book, Turd's promise of the HEH summer has come to pass with the rise from 27-28 range in August to 34.60 in Early September. I don't want to hear anyone complain that Turd's prediction was bogus. I call 20% in three weeks "explosive." Thanks for the response Turd. I'm a slow learner though. My understanding is that there have to be just as many shorts as there are longs for a given contract. I'm mistaken here somehow. Could you or someone give me some more insight or maybe point me somewhere to learn? Thankss guys. I posted this June 5 of this year........ Looks like December $50 silver is in the cards! 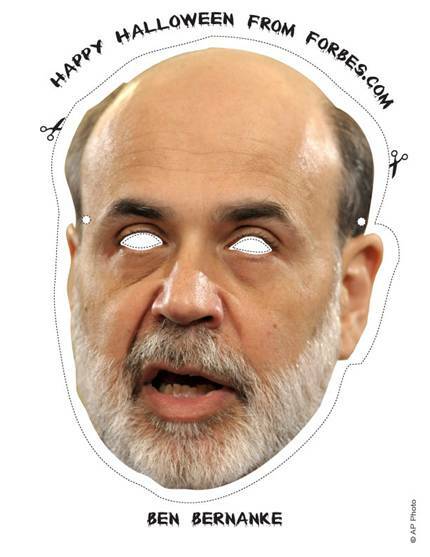 Here ya' go...if you wanted to be pelted with eggs or insulted all night long then here's the mask for you. SilverFocker you set up a forum and I'll add what I can, been using it for a couple years now. Colloidal silver and silver medical devices (for surgery and what not) are coming and will be very effective, as long as the PTB don't try to shut them down.